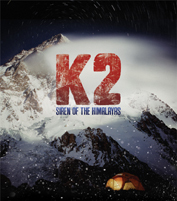 Review: K2: Siren of the Himalayas / It's Just Movies Review: "K2: Siren of the Himalayas"
Known as “The Savage Mountain,” K2 is a mountain of contradictions. Although it is the second-highest mountain on Earth, after Mount Everest, the times humans have successfully climbed it number only about 10 percent those of Everest. The area is so remote and the climb so forbidding that it has never been climbed in winter. The mountain is not even visible from the nearest village. The approach and planning, from the aberrations of the Pakistani government to the terror filled drive to the starting point of the climb, add to the extreme difficulty of an expedition. There was not a single successful summit attempt in the climbing season of this film, 2010, nor was there a successful summiting in the previous season. In this same period hundreds of people made it to Everest’s peak. The fact that there are 10 successful summits of Everest for every one of K2 tells only part of the story. An even more chilling statistic is that of the approximately 300 persons who made the summit of The Savage Mountain, about 10 percent did not make it back down alive. Of course, many more gave up their lives on the way up. A big part of this film is interviews with ace climbers Fabrizio Zangrilli and Gerlinde Kaltenbrunner. The title of the film, referring to K2 as a siren, is no coincidence. The mountain kills mainly because of its inestimable attraction to mountaineers. It is not only a priceless trophy, the successful attainment of its summit a mandatory stripe for the world’s mountaineering elite, it is the highest point in the indescribably beautiful Karakoram mountain range. Even on film, this collection of 25,000 ft peaks rising out of a floor of imperceptibly moving, massively thick, glacial ice is a mesmerizing sight. It is the kind of thing a person sees and never wants to stop seeing. The higher one climbs, the more powerful the allure. As the summit nears, it is all the climber can do to tell when he or she has been stricken senseless by the brutal oxygen deprivation of the extreme high elevation. Buffeted senseless by the never-ending wind, they lose the faculty to tell when they are losing fingers and toes, hands and feet. The semi-consciousness of the hypoxia and the adrenaline of the danger collaborate to hide the bite of the piercing sub-zero temperatures that find their way to every fragment of human flesh. 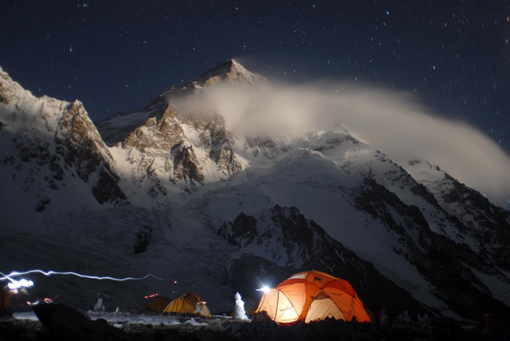 What Zangrilli tells us is that the key to surviving K2 is to respect the mountain and to respect our own mortality. The strongest, most powerful and most successful survivors are the ones who were within eyesight of the summit prize and, yet, turned around because of their own acute awareness of their own limits. One must continually remind oneself that to make it to the top of K2 is one thing; to make it back down is something else. The film starts with the motor trip to the start of the approach hike to the climb. The road is only open four months a year and in the course of the journey the rattletrap vehicles are actually hanging off the sides of water soaked and mud covered cliffs that would seem capable of supporting a mountain goat, let alone a fifty-year-old truck with bald tires. The next sequence is the group at arriving at base camp and watching a skier meet his death skiing down the mountain. One wrong move, into the rocks and off a 500-foot cliff. From the base camp, miles across the desolate glacier, there is not even a sound as the Siren of the Himalayas takes another life. The glacier creeps ahead another minute fraction of an inch while humans collect the body and it is taken off the mountain. Not far below is the Art Gilkey memorial. The first American to die on the mountain, possibly giving up his own life to spare those of his team, Gilkey was honored with the rock cairn that has since become both a memorial and, in some cases, a grisly final resting place for deceased climbers. The memorial is replete with the smell of death from the decomposing bodies, the most incredible warning one could imagine, the most compelling argument to turn back from the Siren. 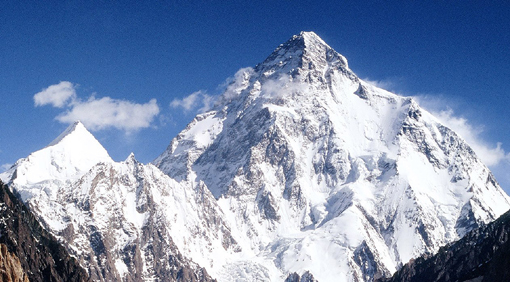 A warning denied by the dozens who vision of K2 was their last. In the end, the only reason that makes sense to find oneself on this deadly mountain is the company of the people one finds on it. This strange group of superstitious super-athletes finds an adrenaline high in the danger and the beauty of this forbidden place. As one climber says, “Take the danger out of mountain climbing and you have every other sport.” See this magnificent film that not only manages to convey the seductive and fatal beauty of the queen of the Karakoram but also expresses the spiritual bond that grows between men and women who share this addictive environment. There have been many films about living and dying in the world of the climbing elite. This film puts the testosterone soaked bravado in the background and stresses the inner feelings that bring people to this place, and keep some of them here for eternity. Do not miss it!